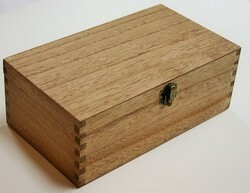 With the help of professionals, our firm is accomplished to provide Oak Wood Box in diverse specifications. 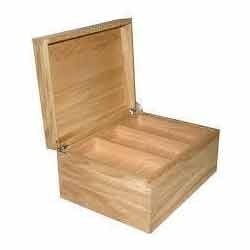 Our expertise enables us in offering quality proven array of Oak Wooden Boxes. The products are manufactured using superior quality solid oak and advanced machines. The offered range of wooden boxes is widely used for packaging various compact industrial equipment and electrical components. We are acknowledged for providing superior quality silver oak wooden boxes that are considered to be perfect for transporting goods in large qualities. These boxes are coated with paints and chemicals, our pallets are water proof and prevent damages. Silver Oak Wooden Boxes are available in different sizes and dimensions and can be customized as per the needs and preferences of our customers. For years we have been betrothed in offering large multiplicity of Oak Wooden Packaging Boxes. We are engaged in bringing forth a comprehensive assortment of Oak Wooden Boxes that is intricately manufactured and has high aesthetic appeal.